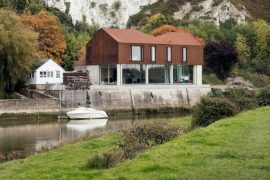 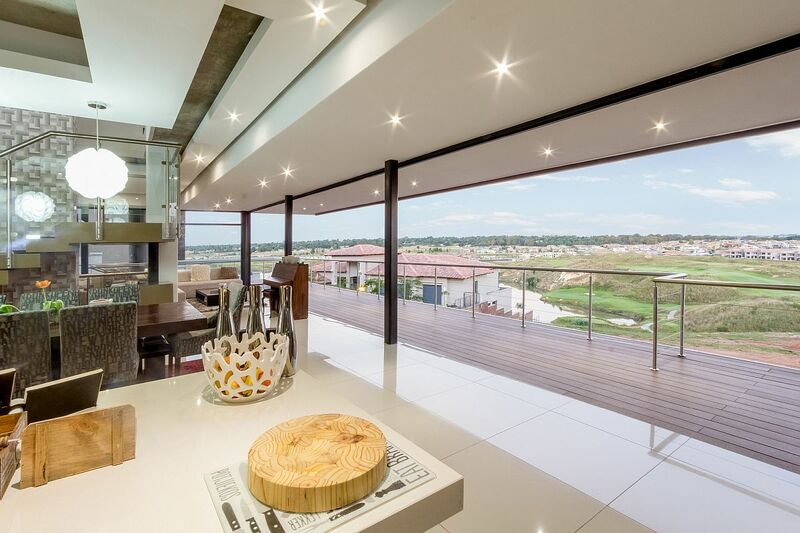 An open and cheerful home offers the perfect platform from which you can take in the many sights and sounds play out in the landscape it sits in. 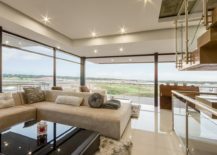 It is barely a surprise then that Gottsmann Architects opted for a similar design as they shaped the gorgeous and light-filled House Vista that overlooks an adjacent Golf Course and Lake. 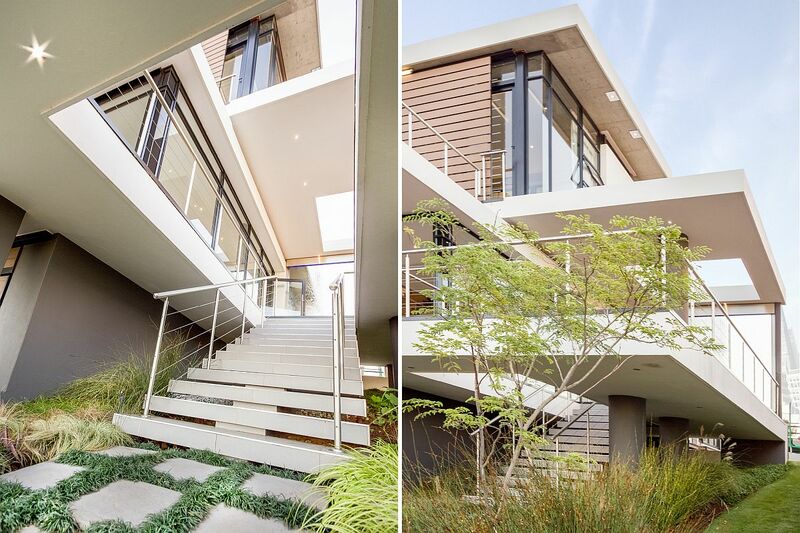 The steep gradient of the lot also played a crucial role in its overall form as the street façade offers complete privacy even as the rear opens up towards the green scenery outside. 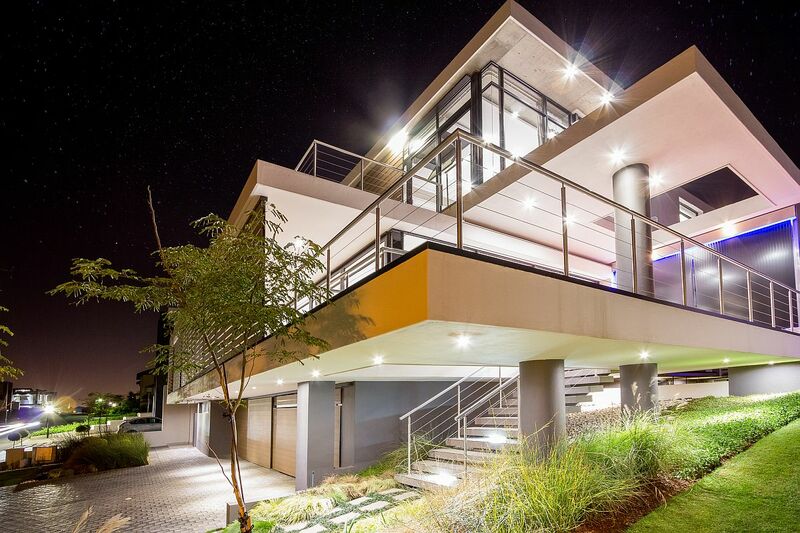 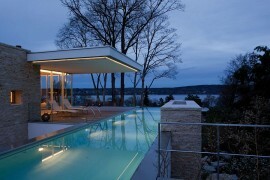 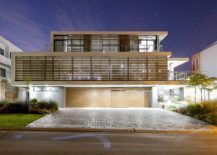 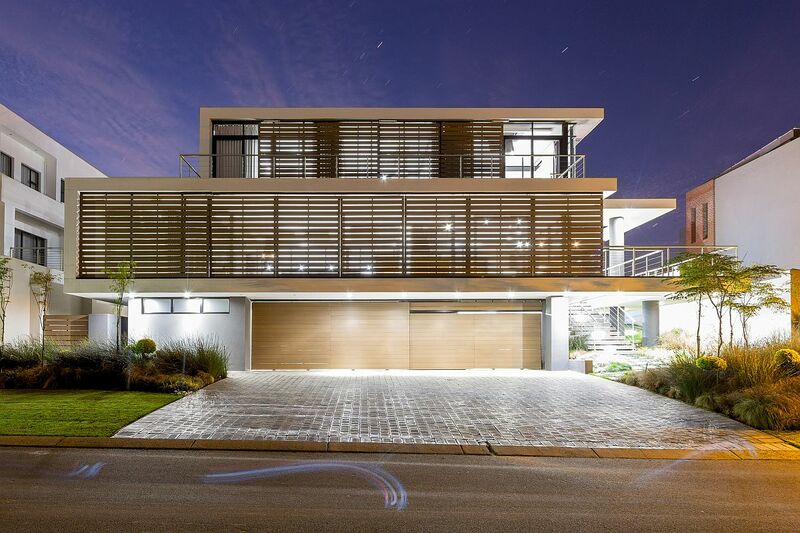 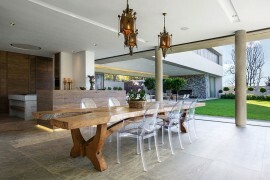 Concrete and glass largely shape the residence with composite timber adding to its elegance. 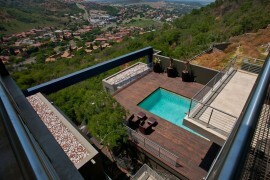 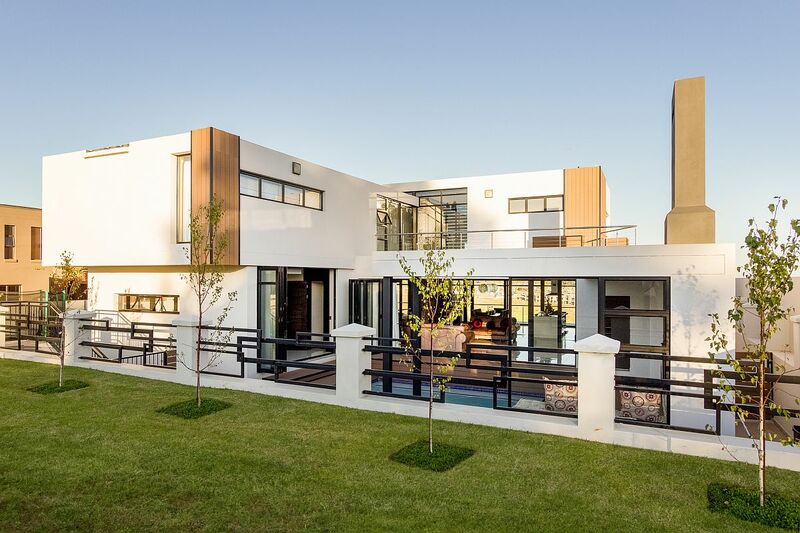 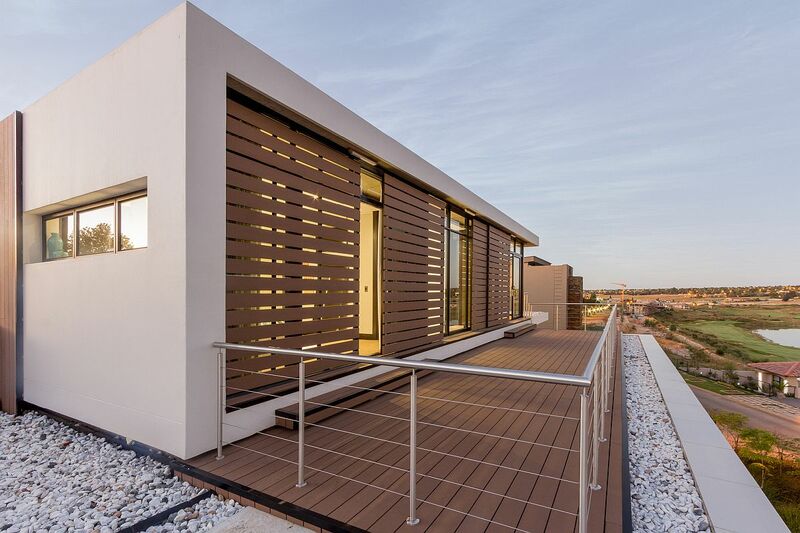 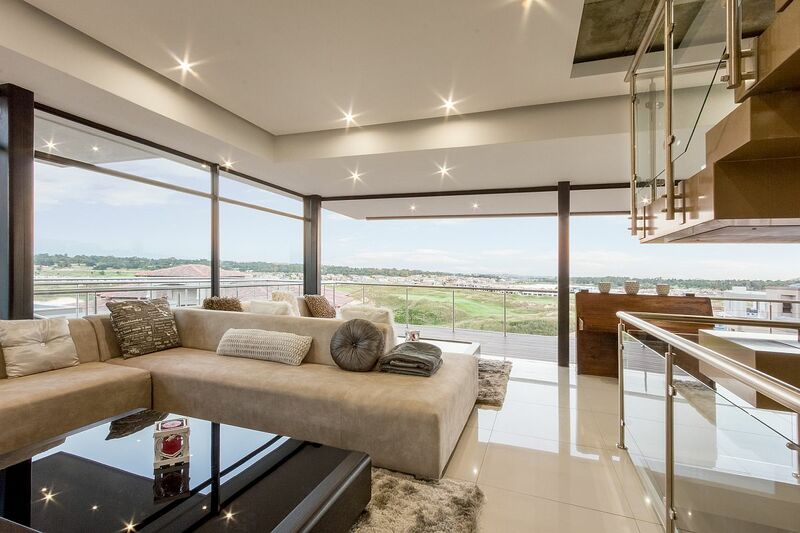 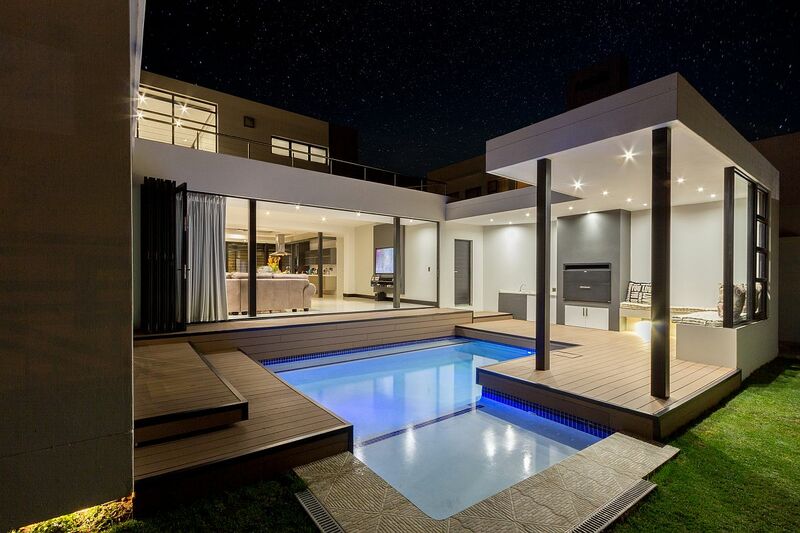 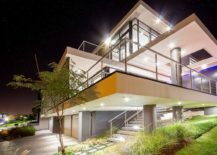 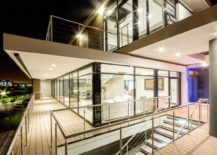 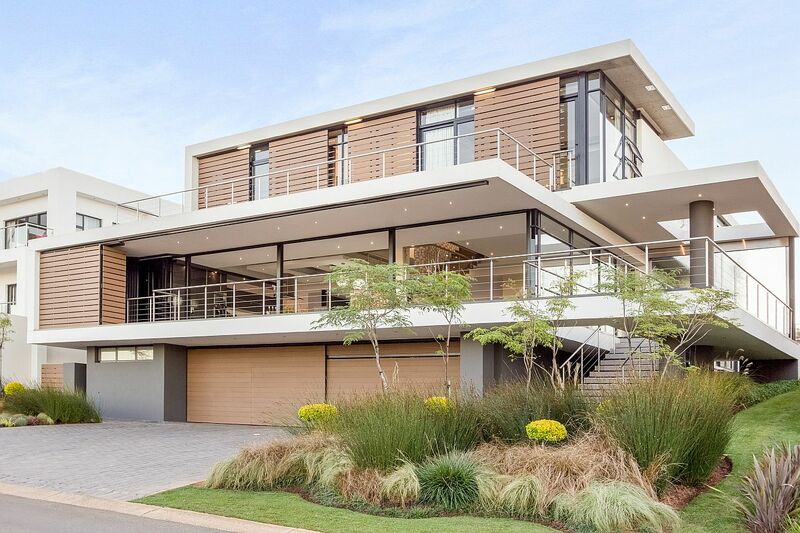 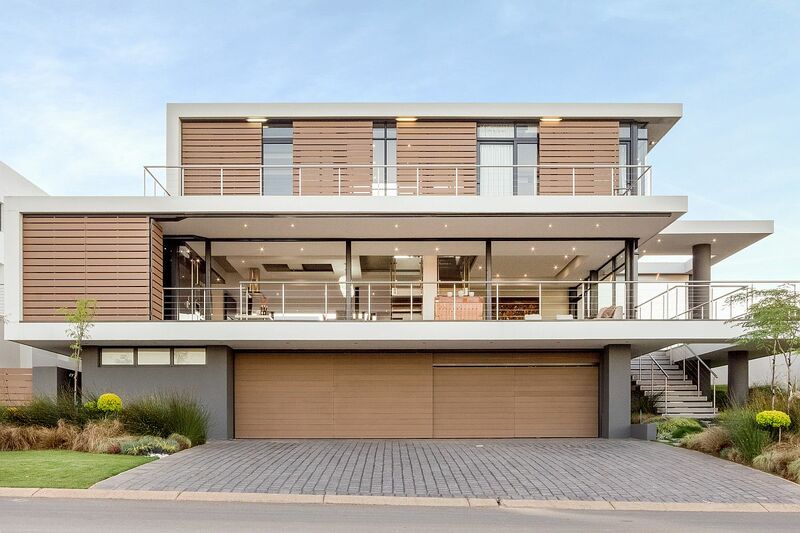 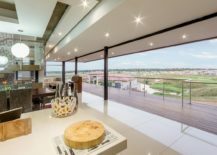 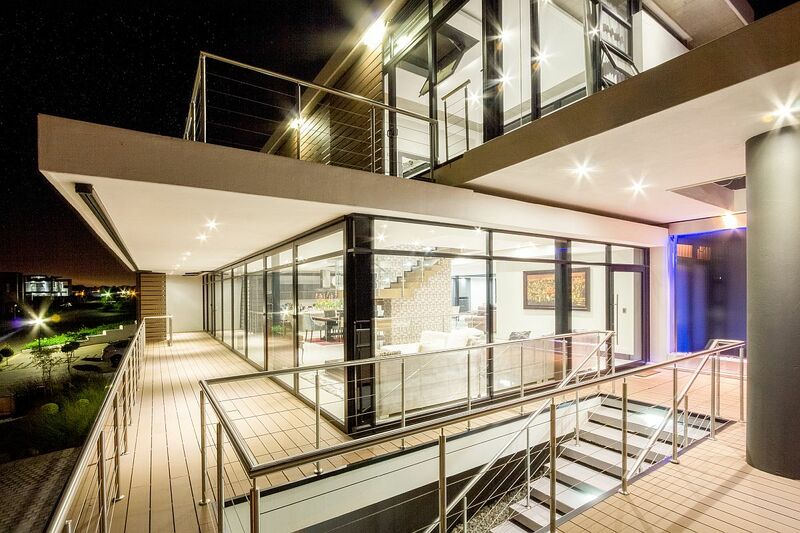 It is both the searing heat of Johannesburg and durability of composite timber that encouraged the architects to use it while shaping both the timber screening and the generous outdoor decks. 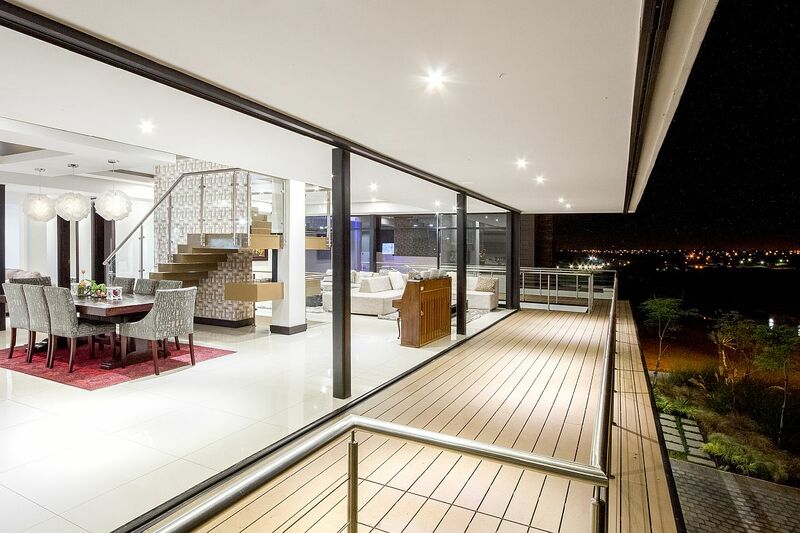 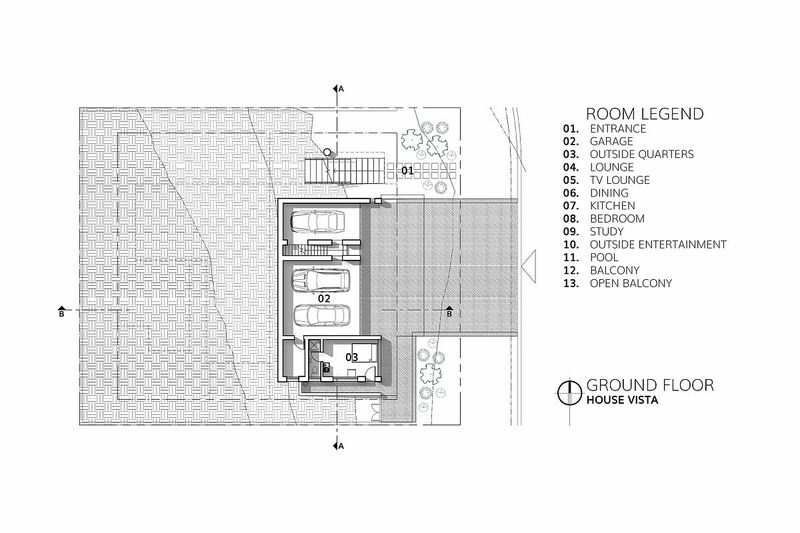 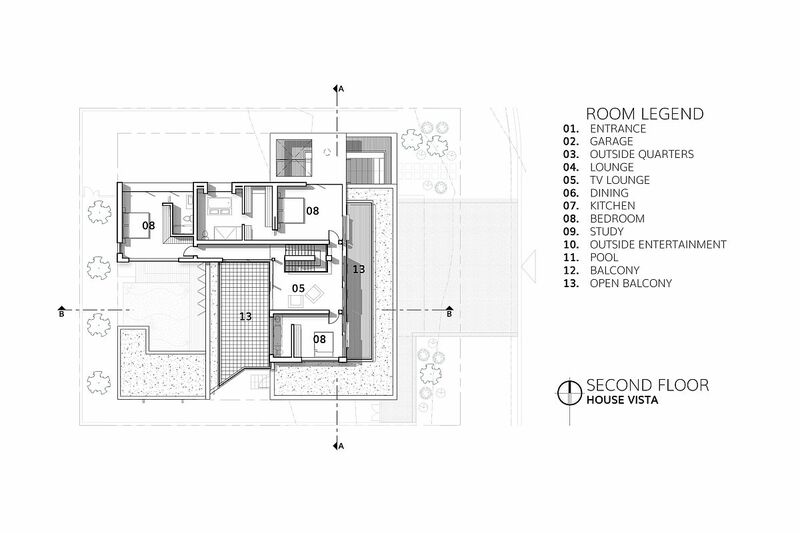 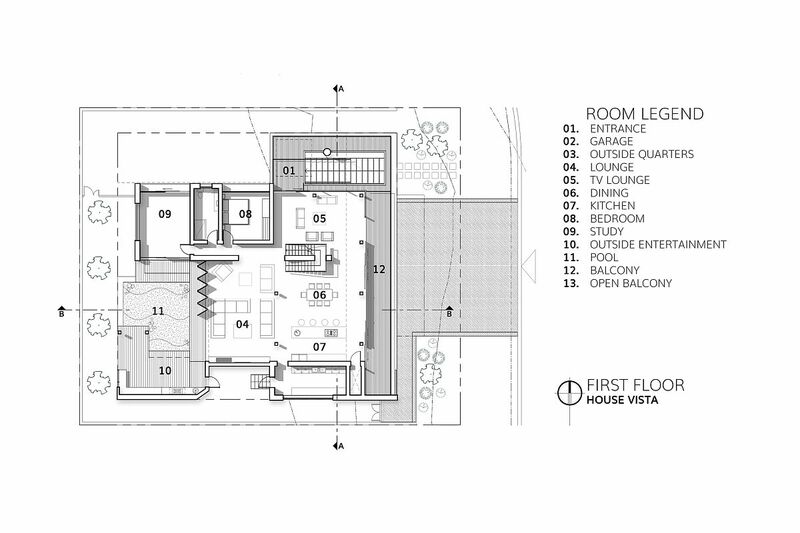 It is the deck that connects with both the living area on the first level and the bedrooms on the second level and usher in the outdoors. 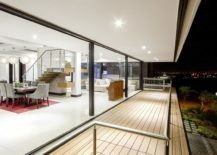 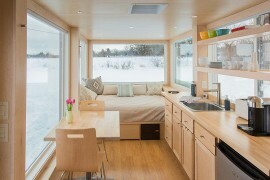 A simple, clean color scheme relying on white ensures that the interior is as contemporary and understated as possible. 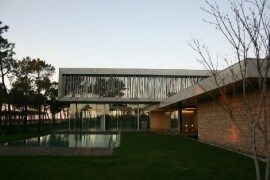 Concrete overhangs add to the seemingly pavilion style of the home where traditional boundaries are done away with.